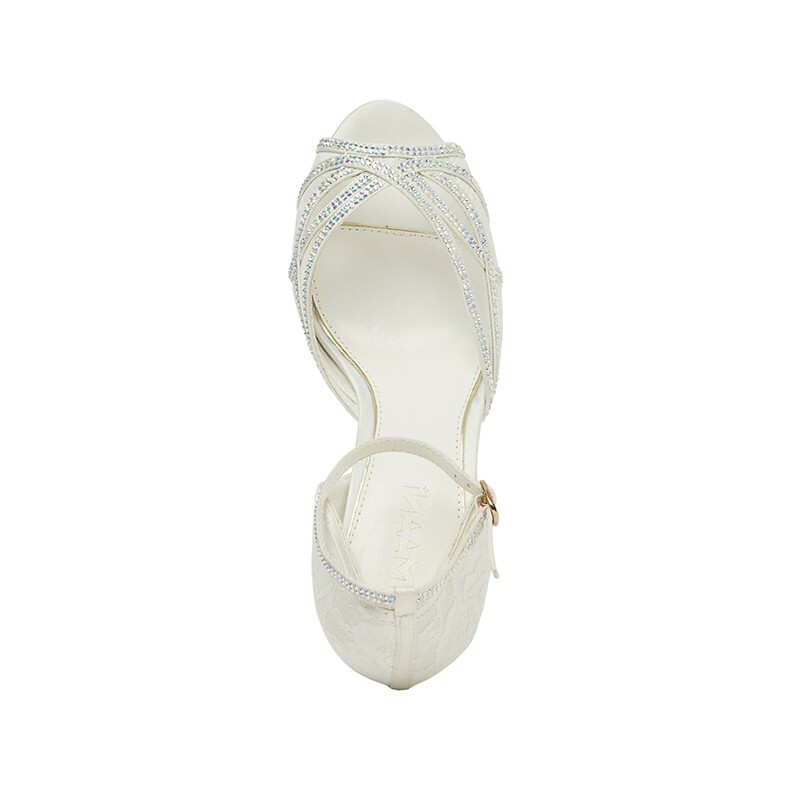 Lulu is the ultimate beautiful creation and a couture piece to keep forever. 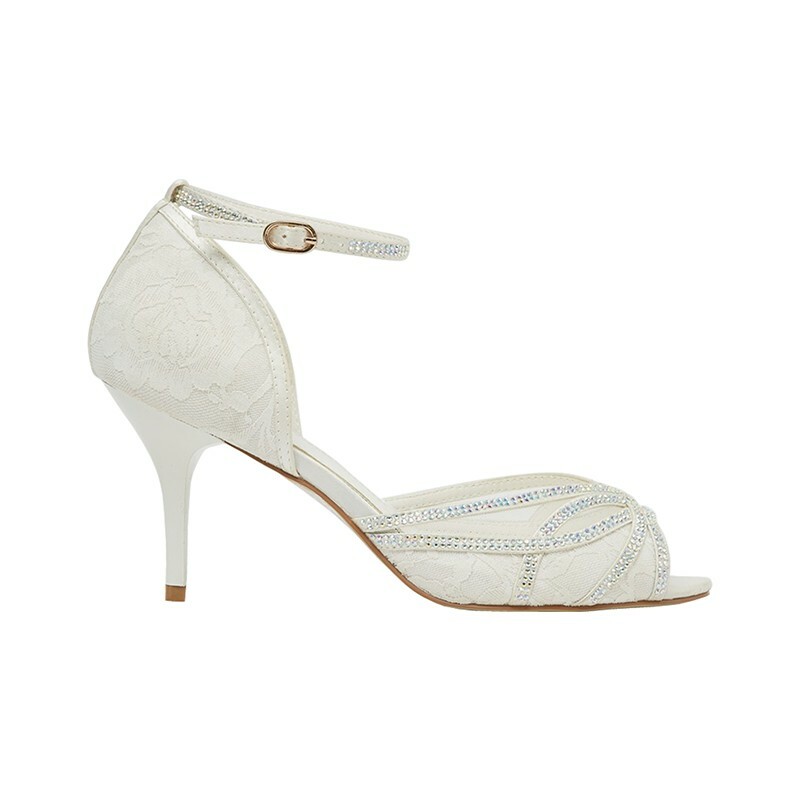 This open waisted show stopper, is made of white satin, with delicate lace and see through gauze to allow for a daring reveal of skin. 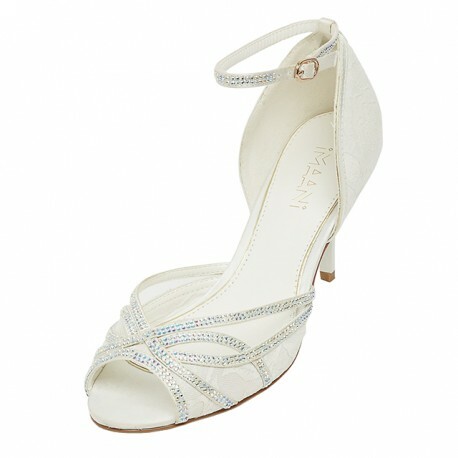 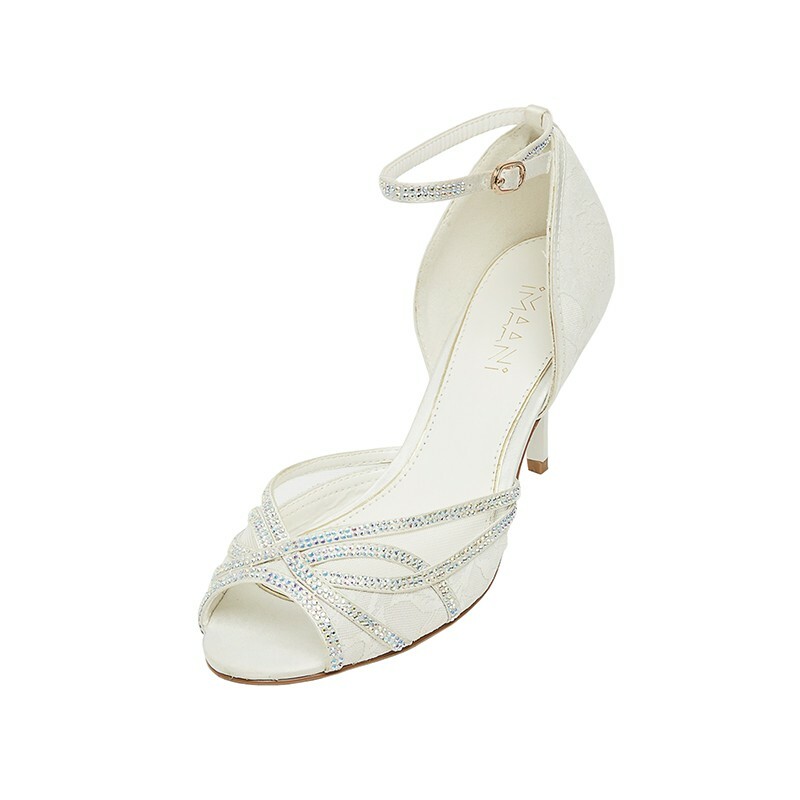 The upper and removable ankle strap are encrusted in hundreds of Crystal trims. 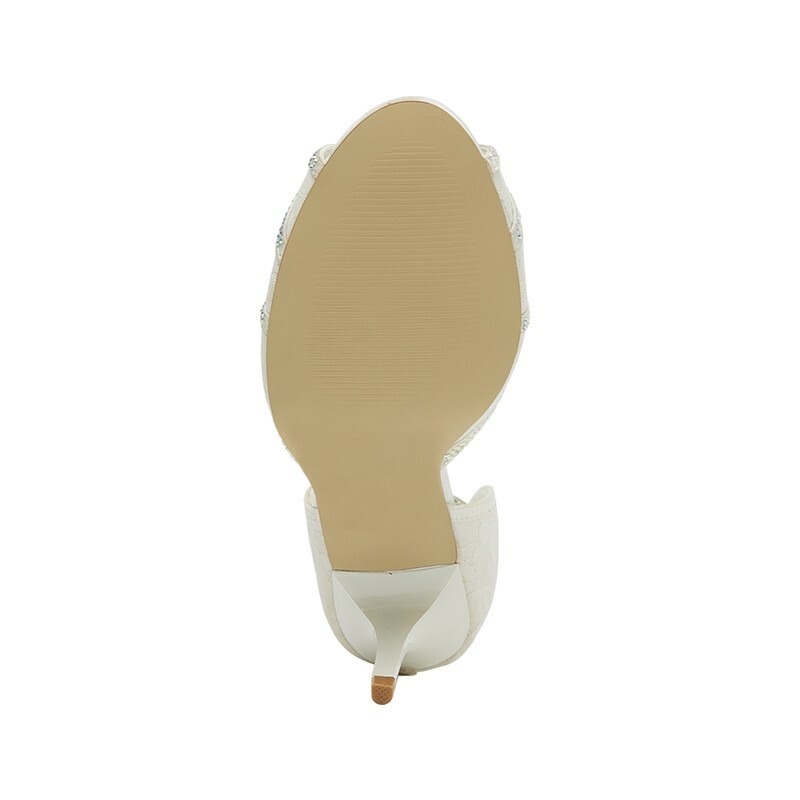 Lulu has a strong white resin heel that can be wiped clean, that measures to a height of 8cm.